How to set Pattern Lock in iDevice? Today, we will get our iDevice users attain Pattern Lock, the Android feature, they always longed for. AndroidLock XT is an enhanced version of an older tweak Android LockScreen which was meant for earlier iOS versions (below iOS 4). AndroidLock XT features a fully customizable pattern lock screen. 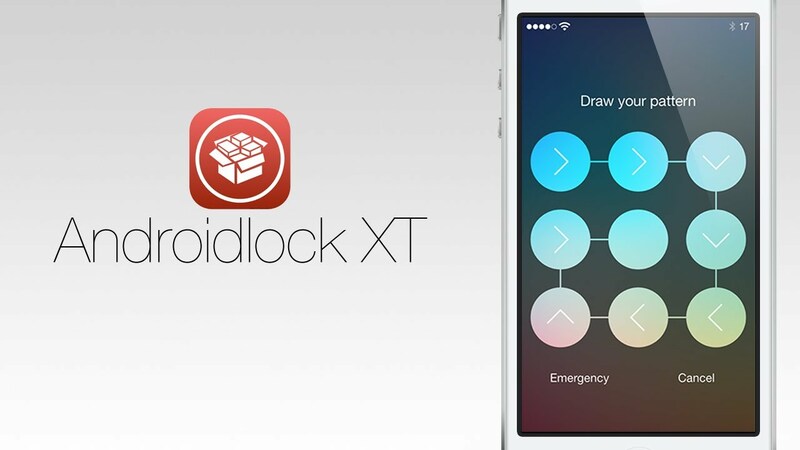 It is one of the best lock screen alternative that you should use for Jaibroken iOS 7. It also comes with maximum unlock attempts limit and also supports emergency calls just like the stock Lock screen. Option for asking pattern only after set time. iCaughtU support (only iCaughtU PRO, no fake mode). It is compatible with a variety of Lock Screen tweaks, for e.g. LockCalendar, LockInfo, BuddyLock, Cydgets, and RecognizeMe Biometric Lock. Option for no pattern if connected to WiFi. Option for no pattern if connected to Bluetooth. ZMaster is the developer of this tweak. You can follow him on Twitter for tweak update news. ZMaster is the creator of a number of Cydia tweaks, which are listed here. АndrоіdLосk ХТ supports іРhоnе, іРоd Тоuсh, and іРаd as well. TechGlobule doesn’t supports Piracy, we are providing a way to get AndroidLock XT for free for those users who want to test this tweak before paying. After installation, Open Settings > AndroidLock XT > Enable. After enabling it, go to Change Pattern. You can leave other settings as default or set them as per your wish. For more such tweaks, visit our category of Jailbroken Apps. Image source – youtube.com (Featured image), My iPhone 4S running iOS 8.1.2 (Screenshots).